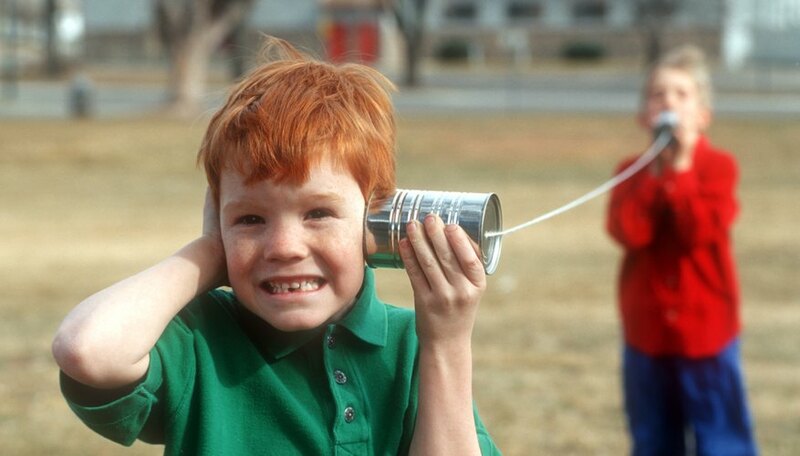 Despite being used to talking on phones, tablets or computers, most children will appreciate the simplicity and effectiveness of a tin can walkie-talkie. While enjoying the novelty of communicating using cans and string, kids can gain first-hand knowledge about how vibrations allow sound waves to travel through different materials. For each walkie-talkie, you'll need two used, open-ended and clean tin cans and a length of string. You'll also need a nail and a hammer to make a hole in the bottom of each can. Start by turning both cans upside down. Use the hammer and nail to make a hole in the bottom of each can. Put one end of the string through the hole of one of the cans. Secure the string by tying a knot in the string inside the can. Repeat with the other end of the string and the remaining can. Have two children each hold a can and walk apart until the string is tight. One child talks into his can. The other puts an ear to the can and listens. He should be able to hear what was said. 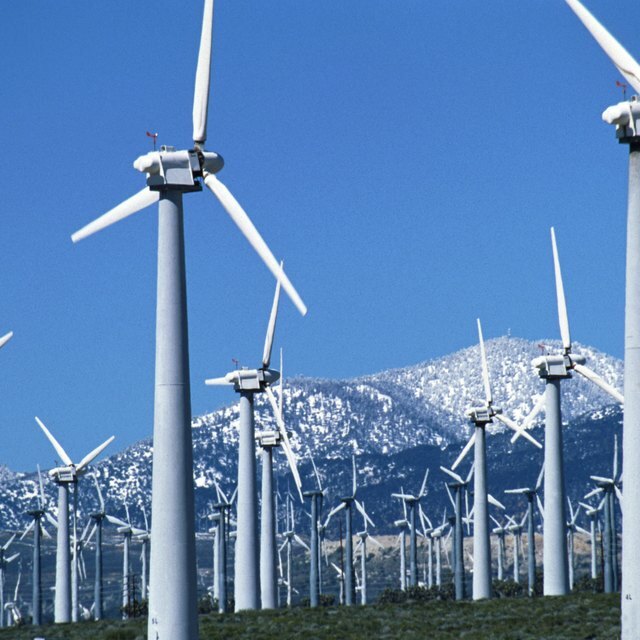 Explain that our voices cause vibrations, or sound waves, that typically travel through the air. Discuss with children how using the cans and string allows the vibrations to move down the string instead of through the air. Extend the activity by using different types of string or other materials between the cans, or attach a third can and string and try to make a three-way walkie-talkie. Lawrence, Carissa. "How to Make a Walkie Talkie With Tin Cans & a String." Sciencing, https://sciencing.com/make-walkie-talkie-tin-cans-string-12060286.html. 24 April 2017.